A day after hosting the historic ‘Artisan Speak’ fashion event at the Red Fort, the Ministry of Textiles recognised and awarded weavers, artisans, designers and others who have contributed to the promotion of textiles and Indian craft globally. 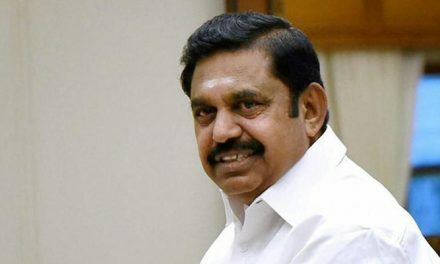 At an event titled ‘Accomplishments And Way Forward For Textiles Sector’, Union Textiles Minister Smriti Irani and Vice President M Venkaiah Naidu conferred the ‘Threads of Excellence’ award on 17 people from the textiles sector. Designers Rahul Mishra, Rajesh Pratap Singh, Aneeth Arora and Fashion Design Council of India (FDCI) President Sunil Sethi were among the awardees from the fashion fraternity. Rahul Mishra, who was awarded for being “the international face of Indian fashion who has contributed to placing Indian fashion on the world map,” told us that the Ministry of Textiles had appointed a jury to select the awardees. “I have received many awards so far, including some international ones, but this is my first award which has the National Emblem on it. It is a matter of great pride for me and my family. My father has never accompanied me to any fashion awards, but he was with me at the award ceremony, and this is one award which he is proud of. I have been given this award for representing Indian craft globally and for textile innovation. I have been doing this for years and recognition from the Ministry means a lot to me. Years ago, it was rare that a fashion designer would get to be on the same stage as Ministers and politicians, but it’s all happening now. 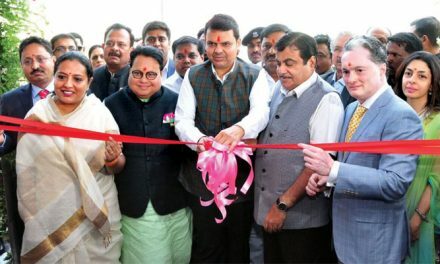 Finally, it is being recognised that fashion is not just about vanity, it is about craftsmanship and working with weavers, and providing employment to them,” said Rahul. 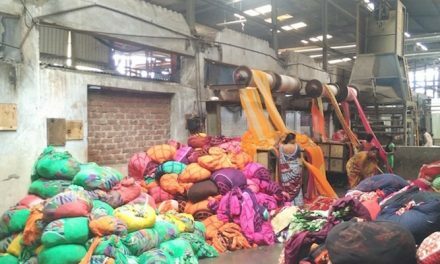 Aneeth and Rajesh too said that the biggest reward is the recognition that the fashion industry is now getting from the Ministry of Textiles. “I think the three of us stood at the award ceremony as representatives of the fashion industry and many other designers who have been working with weavers and textiles from different regions of the country to make a mark globally. This kind of support from the Ministry will inspire many other young designers to work with weavers and promote handloom and textiles,” said Rajesh. 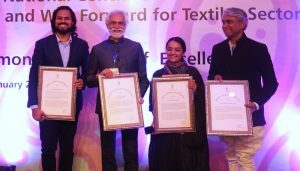 Aneeth, who was awarded for sustainability, textile innovation and utilizing India’s indigenous skills and knowledge of ancient textiles and clothing traditions, feels that these awards also show how government is working to bring together different sectors in textiles and encouraging more designers to work closely with weavers. “We have been working in collaboration with over 1,000 weavers from across the country to innovate hand woven, dyed and printed textiles. Each year, we identify five Indian regions and work with over 500 weavers to create a collection of global standards. The idea is to present Indian weaves and craft at international platforms,” said Aneeth.